The World Health Organization’s recent study linked cell phones to cancer, but researchers in Switzerland and Scandinavia aren’t so sure. Recent studies on children who use cell phones found the opposite – determining that the relationship between cell phone usage and brain tumors is inconclusive. With more and more parents letting their children have their own cell phones should they be concerned about the radiowaves effects on kid’s brains or not? The Swiss study focused on regular users of cell phones, ranging in ages from 7 to 19. Researchers interviewed 352 children and teens who had been diagnosed with brain tumors from 2004-2008, as well as 646 kids in a control group, and all of the parents involved. The interviews concluded that just over half of the entire group were regular cell phone users, meaning that the brain tumors were present with or without cell phone usage. The same goes for the healthy children, there was no difference shown between the kids who regularly used cell phones and those who didn’t. Dr. Martin Roosli, PhD and his colleagues at the Swiss Tropical and Public Heath Institute in Basel also examined the patients’ brains. They concluded that the cerebellum, temporal and frontal lobes, the areas of the brain that are in direct exposure to a cell phone’s radiofrequency energy, had no increased risk in regular cell phone users. The same goes for the side of the brain that corresponds with the ear most used when making calls. With cell phones’ commonality being a somewhat new phenomenon over the last ten years or so, Roosli and his researchers plan to further study their long term effects on adult and child brains. Future studies may uncover new risks, but for the time being, these researchers aren’t linking cell phone usage directly to brain tumors. That being said, as a parent, you may want to practice a “better safe than sorry” policy on your child’s cell phone usage. With inconclusive results, more studies are clearly needed to determine what’s truly safe for our kids. As a retired engineer who spent over 35 years in the world of RF communications I am totally in opposition to tests where RF is impinged on the human body for purposes of determining its possible damage that it may create to the area it is impinging upon. RF has unique properties in that its infusion into any property that it loads upon is directly proportional to the frequency of operation as well as the impedance properties (in ohms) of the area it is impinging upon. To state that RF use in a cell phone that may be injurious to its user is akin to saying that anyone who walks naked in an area that has a clear sky on a hot sun filled sky will get their skin burned to a level requiring hospitalization. This of course is directly proportional to that persons ability to simply tan as a result of this versus one who will get sunburnt requiring some medical atention Anologing this to cell phone use contains the logic that some people are directly affected by RF impingment versus those that are not. To actually test this is an impossibilty since it is asking a human to be a test subject that may create a serious RF burn. The conclusion of this is not to assume who may be or who may not be affected by RF impingment but to have the cell phone industry comply with this posiblity and make all cell phones capable of either a speaker or ear piece availability. Given this, the controversial subject of cell phone safety will no longer be an issue. The World Health Organization's recent study linked cell phones to cancer, but researchers in Switzerland and Scandinavia aren't so sure. 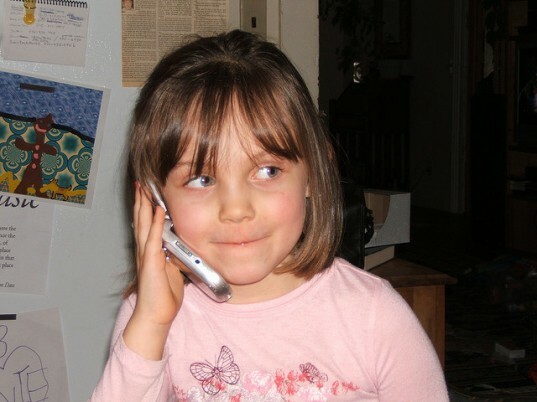 Recent studies on children who use cell phones found the opposite - determining that the relationship between cell phone usage and brain tumors is inconclusive. 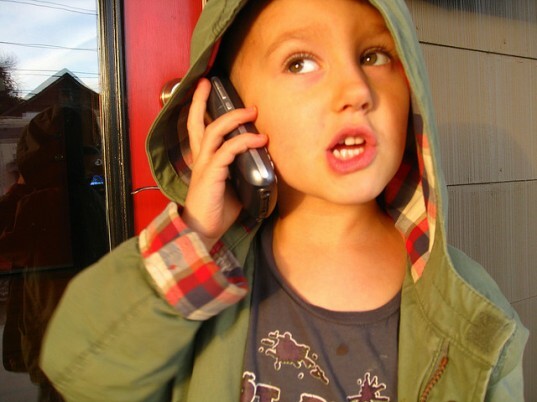 With more and more parents letting their children have their own cell phones should they be concerned about the radiowaves effects on kid�s brains or not?